In April, we traveled to Chattanooga, TN for the 2017 Multi-District Conference. 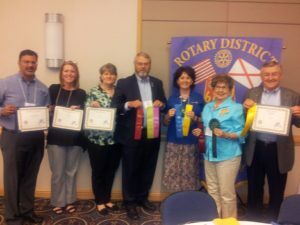 Rotarians from Alabama, Tennessee, and Kentucky spent a great weekend learning about the different projects across our districts, listening to great speakers, and meeting new friends. One of the highlights of this annual event is the presentation of awards for the year’s accomplishments. 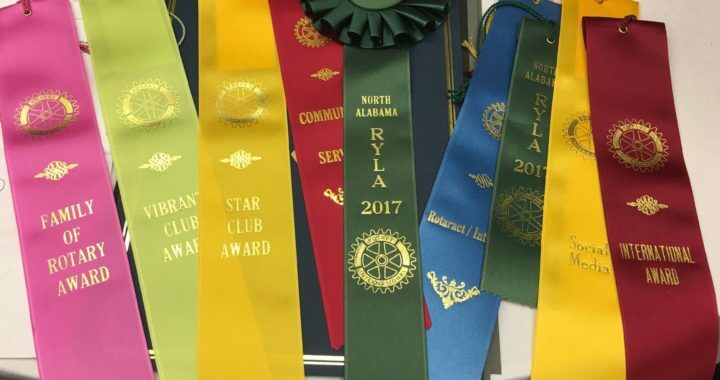 Thanks to our hard work and the support from our community, we earned recognition for our Avenues of Service projects, membership growth, and Family of Rotary events.